I had alluded to this at least once before, but isn’t it interesting how black metal seems to be the only genre that has been indelibly associated with a specific climate and time of year? This art form that had its roots in the thrash and death metal of the early 80s, got twisted into something more harsh and unforgiving by bands in such disparate locales as England and Brazil — but really was given the unique characteristics we associate with it today, when it had again been transformed in the hands of a bunch of Norwegians in the early 90s. Ever since then, thinking about black metal almost invariably conjures images of a “land of ice and snow”: some of the areas that have developed pockets of practitioners within the genre have included Norway and Sweden, the American Pacific northwest and midwest, Canada, New York and New England — and Louisiana. No, you didn’t read that wrong. Today we’re discussing a pair of bands who are based in a state that is well-known for having hurricanes and Mardi Gras celebrations; Cajun and Creole culture and some of the biggest sludge metal bands in the world; and of course, for inventing Tabasco sauce. But one thing nobody associates with Louisiana is frigid, wintry weather. Nevertheless, these bands both manage to produce a convincingly bleak, black atmosphere, imbued with plenty of interesting twists like you’d expect to hear from many of their counterparts from further north: Barghest (Baton Rouge) and Withering Light (Hammond). It is with great deference and gratitude to our fans and supporters that I announce my departure from Cormorant. After the overwhelming reception for Dwellings and national tours with longtime personal heroes, I feel fortunate to end this chapter of my life on a high note. Nick, Brennan, and Matt will continue to write and perform as Cormorant with my full support. The albums we created together were very personal to all of us, and I know the music they are composing now is of the same passion and honesty. I cherish our time working together, and I wish them the best. I am taking a break from music to pursue my career in video games—another lifelong passion. Since May of this year, I have been at Telltale Games, hard at work on The Walking Dead episodic adventure series. Contributing to the game’s development has afforded me artistic fulfillment I never thought possible professionally. Thanks to the many colleagues I count as friends and projects I care deeply about, I look forward to going to work every morning for the first time in my life. I have nothing but the most sincere thanks to our fans. You are incredible. 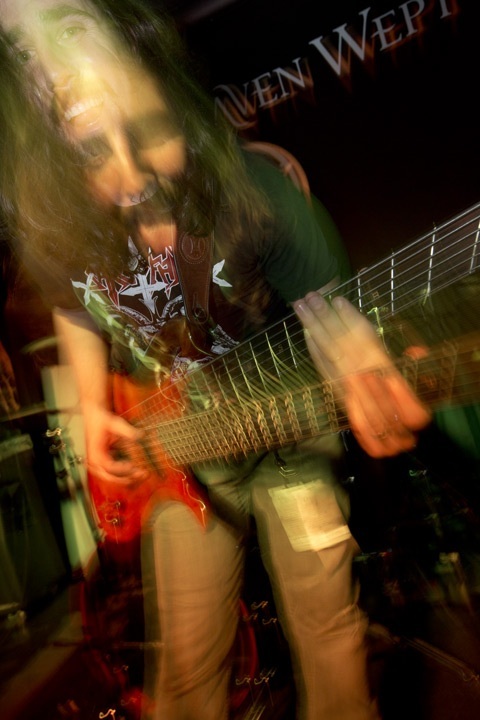 From the Lebanese diehard metalhead who smuggled his contraband Metazoa CD in from Saudi Arabia, to the gentleman of indigenous Australian descent who wrote to tell us how profoundly “The First Man” had affected him, knowing that we’ve forged a connection with people through our music is the most gratifying. I feel grateful to have had the opportunity to perform for our fans across the US this year. Meeting you all in person was a true pleasure. I only regret that a worldwide tour wasn’t possible! I’d like to thank the sound engineers and producers who made us sound our best, the publicists and journalists who wrote so beautifully about us, the visual artists who brought our music to life, the promoters who included us on such wonderful bills, and the bands with whom we shared the stage. While I have always taken great pride in Cormorant’s independence, so much of the band’s success is owed to your support. I look forward to attending future Cormorant shows from the other side of the stage. — Arthur von Nagel, November 2012.